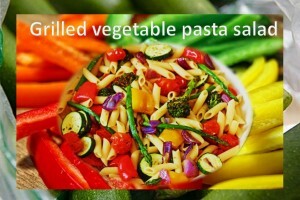 Call it Grilled Veggie Pasta salad. It is tasty, delicious and easy to prepare. Pack it for lunch for kids or serve it as an evening snack item.